Guerbet is featuring its expanding portfolio of digital solutions, including an ongoing collaboration with IBM Watson Health. Watson Imaging Patient Synopsis is a radiologist-trained artificial intelligence (AI) tool that extracts relevant patient information, summarized into tailored, specific, and concise single-view reports to better inform diagnostic decisions. As the first reseller of Patient Synopsis, Guerbet is reinforcing its ongoing partnership with IBM to co-develop and distribute innovative, clinical decision support solutions. “This new software is artificial intelligence based to support clinical decisions for doctors, enabling them to access patient history in one page. It not only collects information and structures it, it also highlights the most important parts. Now the doctor and radiologist can have a clear understanding of the patient without scrolling through pages and pages in the digital record. It's a major development in the decision support system,” said Massimo Carrara, Guerbet Vice President for North America. Other digital solutions include the Contrast&Care® Injection Management Solution, which enables radiology departments to collect, archive, examine and share injection data directly with Guerbet’s injectors, advancing data transfer and accuracy in dosing to help radiologists best serve patients. The company’s commercial partnership with Imalogix™, a leader in artificial intelligence process and workflow solutions, will allow it to help optimize diagnostic and interventional imaging care. The Imalogix™ Platform gives healthcare organizations the tools to understand and manage the process, quality and safety related to diagnostic imaging and interventional procedures, and meet evolving regulatory standards surrounding radiation dose management with ease. The commercial partnership combines Guerbet’s leadership in diagnostic and interventional imaging with the cloud-based human and machine-intelligence capabilities of Imalogix™ to proactively identify areas that impact care delivery to reduce variability and improve the quality, safety and efficiency of care around radiation dose management. 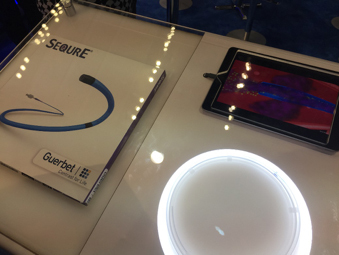 Guerbet is also strengthening its leadership in innovative interventional radiology with two new microcatheters, SeQure® and DraKon™, for tumor and vascular aneurysm embolization procedures. These microcatheters are for the use of infusion media into all peripheral of contrast vessels, as well as drug infusion in intra-arterial therapy and infusion of embolic materials. 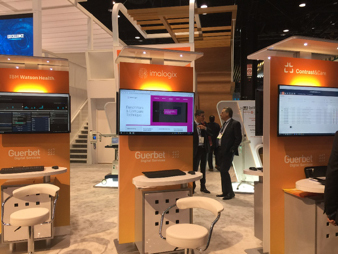 Guerbet Collaborates with IBM Watson Health to Help Support Clinical Decisions. Appl Radiol.